For more than 15 years, U-M Depression Center researchers have worked collaboratively to make key discoveries and test innovative treatment options for depression and bipolar illnesses, among the world’s most disabling conditions. Now, a gift of $10.75 million from U-M alumni Frances and Kenneth Eisenberg and their family will enhance those efforts. Kenneth, who serves on the Health System Advisory Group, the College of Literature, Science, and the Arts’ (or LSA) Dean’s Advisory Council, and the Taubman Medical Research Institute Advisory Board; and Frances, who serves on the School of Education’s National Advisory Board, are deeply connected to the university. They both earned bachelor’s degrees from U-M in 1964: Kenneth from LSA, and Frances from the School of Education. Frances also completed her teaching certification at U-M. As active volunteers throughout the university, Kenneth and Frances serve on the Victors for Michigan Campaign Steering Committee. The Eisenberg family hopes that their support for work at U-M will further change the paradigm for how depression and bipolar disorder are understood and treated. “It is time to put our energy and resources into finding solutions for depression. Everyone has been touched by a loved one or friend affected by mental illness. Our family’s goal is to remove the stigma associated with this disease and to provide the necessary financial support to assure that meaningful treatment is accessible,” Kenneth Eisenberg says. Kenneth has also worked directly with Depression Center founder and executive director John Greden, M.D., the Rachel Upjohn Professor of Psychiatry and Clinical Neurosciences at the U-M Medical School, to shape the gift so that it helps guide research toward breakthrough understandings of causes, personalized treatments and preventive strategies. The gift will expand the number of innovative research projects focused on understanding causes of depression and develop precise treatments that target each individual’s unique genomic, stress and medical profile; fund the Frances and Kenneth Eisenberg Professorship of Depression and Neurosciences, awarded to psychiatrist Srijan Sen (M.D. and Ph.D. 2004), a leading expert in the biology of stress and depression, who already holds the title of Frances and Kenneth Eisenberg Emerging Scholar at U-M’s Taubman Medical Research Institute; create the Eisenberg Collaborative Innovations Fund to support community outreach and partnerships between the Depression Center and units at U-M such as the Frankel Cardiovascular Center and the Comprehensive Cancer Center; establish the Frances and Kenneth Eisenberg Emerging Scholar Award for early career research and the Frances and Kenneth Eisenberg Research Prize, a national award to be given to an outstanding leader in the field; and build an endowment to sustain future research. 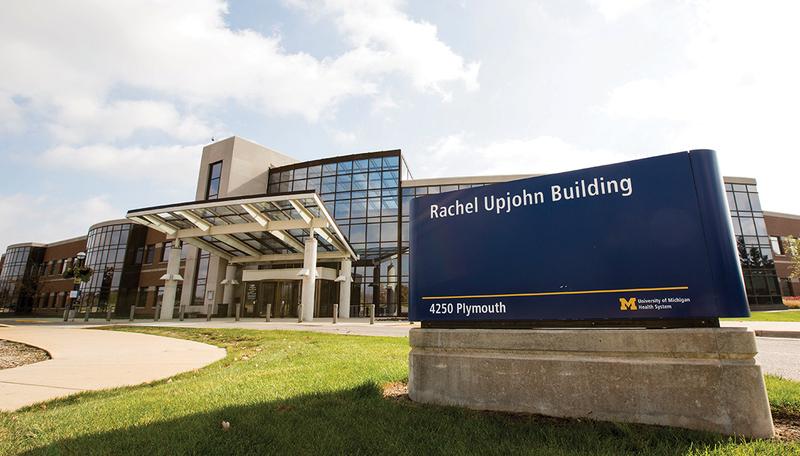 Founded in 2001, the U-M Depression Center was the world’s first comprehensive center established to fight depression and associated stigma on all fronts. It has helped inspire the creation of 32 additional depression centers across the U.S. and Canada, creating an international network to accelerate progress. Today, it includes more than 300 faculty and professional staff from 16 affiliated schools, colleges, centers and institutes across the university. Marschall Runge, M.D., Ph.D., executive vice president for medical affairs and dean of the Medical School, welcomes the Eisenberg gift as the latest show of support for the U-M Health System’s approach to blending research, advanced clinical care, education and community outreach. The Eisenbergs have two sons, Stephen (who earned a bachelor’s degree from LSA in 1989) and Brian. Stephen and his wife, Nicole, serve on the Greater Detroit Campaign Leadership Council and the Mott and Von Voigtlander National Campaign Council. In addition to the Depression Center, the Eisenberg family supports many areas of U-M, including the School of Education and TeachingWorks, LSA, the School of Social Work, the Taubman Medical Research Institute, the University Musical Society and the Athletic Department. Kenneth Eisenberg is the chairman and CEO of Kenwal Steel Corp., the family business he took over in the 1960s. Under his leadership, Kenwal Steel has become a full-service steel processing company.